Collaboratively curate links for yor email newsletters using Goodbits, then export your newsletters with HTML. Export a ready to go HTML version of your email. Customize the footer links to suit the sending provider you are using, such as Hubspot. Even supports Gmail. Goodbits helps your team collect content — manually with browser extensions and automatically — and curate your content into beautiful responsive email newsletters using our simple drag & drop editor. Footer links can be customized to use the merge tags of your sending provider. You can also use our custom template feature to reference other information such as personalized tags. Our simple landing page hosts a subscribe form and your archive of emails. Take advantage of our design and custom domain features. Easily click a button to save links while your browse. We automatically process the thumbnails and have content ready for drag n drop when you build your newsletter. Send your curated email newsletter to your existing subscriber lists with Mailchimp. 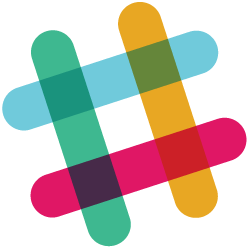 Automatically collect links posted to your team's Slack channels. Automatically collect tweets posted on Twitter. Automatically collect tweets posted with Buffer. Automatically collect your favorite content in Pocket. Automatically collect content from RSS feeds.